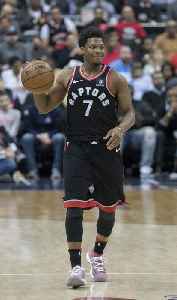 Kyle Lowry is an American professional basketball player for the Toronto Raptors of the National Basketball Association (NBA). He attended Cardinal Dougherty High School in Philadelphia and declared for the NBA draft after two seasons of college basketball with the Villanova Wildcats. He was selected by the Memphis Grizzlies with the 24th pick in the 2006 NBA draft.